Does the idea of having Plastic Surgery still make you doubt the reality of the younger look you have always dreamed of? We’re going to explore an advanced, Non-Surgical Face Lift or Facial Rejuvenation procedure known as Fat Transfer & Fat Grafting using the PureGraft™ PRO System. Female patient complaining of sagging and loss of volume in her mid-face and cheek area. Dr. Slupchynskyj performed Fat Grafting using his fat filtration technique, which allows the most fat particles to be transferred, as well as enabling maximum survivability of the fat cells. The fat filtration process involves meticulous washing of the fat to ensure use of only the most viable fat cells for maximum long lasting results. 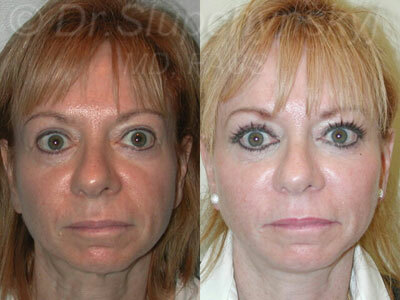 The patient’s own fat was injected into her mid-face and cheek areas restoring natural youthful fullness to her face. In today’s world of science new discoveries are vastly changing the way we live. The medical arena has taken strides in possibilities that were only a dream to our ancestors. Medical wonders are opening new frontiers in what was considered impossible for many years. The greatest challenge we have had since the start of the ages is the run against time. Aging is one of the most talked about topics in the world. With aging comes the worry of losing one’s good looks and a downturn in the confidence and jest of living life. Thanks to the undergoing discoveries in the plastic surgery field, opportunities abound which can completely change our life in a variety of ways. Plastic Surgery not only improves a person’s appearance, it can improve your level of confidence. It’s a proven fact; if you look better, you feel better. Dr. Oleh Slupchynskyj, a top, Dual Board Certified Facial Plastic Surgeon in New York, will sit down with you and explain how this ground-breaking procedure may be beneficial to you. The PureGraft™ 250/PRO is an amazing technology utilized by Dr. Slupchynskyj that has simplified fat grating from even a year or two ago. This includes everything from the collection of fat tissue to the graft transfer, or injection. Cytori Therapeutics is the center of The PureGraft™ PRO System. It utilizes the innovative lipodialysis technology, which removes unwanted impurities and cellular debris by selectively washing the graft tissue effectively and efficiently. PureGraft™ will graft 250 mL or more in as little as 15 without centrifugation. This translates to requiring less fat for the same or better results. The unwanted contaminants, lipids, and fluids are easily removed. This means the viability of fat cells is dramatically increased, increasing longevity of rejuvenation results. The system is closed making for a more sterile field versus traditional means other plastic surgeons still employ today. The primary manifestation of aging is loss of subcutaneous tissue, especially fat which directly contributes to the laxity of the skin. Fat is considered an ideal tissue filler because it is living tissue which is from the patient’s own body thus escaping any chances of allergy or reactions to the same. One great advantage of Fat Grafting is that it has the potential to last longer than synthetic fillers. It also reduces any possibilities of infection as the tissue comes from the same body. There are also theories, which hint at the increase of collagen production in cases of Fat Transfer, thus speeding up the healing process. Fat Transfer (medically termed Fat Grafting) is a medical procedure where a patient’s own body tissue or fat tissues are used to increase the capacity of the subcutaneous area of the body. In the simplest of terms, a Facial Fat Transfer involves harvesting the fat from other parts of the body like abdomen, thighs, or buttocks which are most conjunctive to the texture of the face. These harvested fats are transferred into injection syringes which are injected into the desired section of the face. Excess fat not used in the initial procedure can be frozen and stored and used for minor touch up procedures during the surgery. In recent years, Liposuction has achieved more predictable outcome. This process is referred to as mico-lipo injection, Fat Transfer, autologous fat transplantation or autologous Fat Grafts. The most professionally used process includes Fat Transfer (or autologous Fat Grafts) that are used to give a Facelift. This is made possible by carefully filling the wrinkles and folds of the face, to bring back volume to your lips and to increase the tissue layer of the cheeks. Fat Grafting can give a much needed uplift in areas of the face which show pronounced signs of aging, such as the area around the eyes, the portion between the lower eyelid and cheek, the portion which tapers from the face to the lip and the area around the chin. The lip area is another part of the face that also starts to show signs of aging with wrinkles. As in every surgical procedure, the success of Fat Grafting is dependent upon many factors. For example, the techniques and instruments used to harvest, refine, and place fat into the donor site is obviously important. In addition, the volumes of implantation, the sites implanted, the levels of placement and even the individual patient are very important. The normal Facial Grafting procedure involves removal using a small tube which is then prepared as fat grafts for filling in the hollow areas in the area of the operated section. Usually, a blade scalpel is used by a plastic surgeon to create 3 or 4-mm incisions for access. Then a blunt Lamis infiltrator distributes solution into the donor sites. The choice of solution depends on the donor areas and on the projected volume of fat to be removed. For harvesting smaller volumes, local anesthesia using 0.5% Lidocaine with 1:200,000 Epinephrines is considered adequate. For larger volumes under local anesthesia with sedation, a solution of 0.25% with 1:400,000 epinephrines are used. Under general or epidural anesthesia, Ringer’s lactate with 1:400,000 epinephrines are infiltrated into the donor sites to aid in hemostasis. Approximately 1 mL of solution is infiltrated for every mL of fat to be harvested. Superwet or tumescent techniques are not used during the harvesting phase since the motion of the harvested fat, through large amounts of liquid, may break up the parcels of fatty tissues and thereby decrease the potential survival of the subcutaneous tissues. For mild Fat Graft removal the expected time is 30 minutes which may take as long as 3 hours for substantial grafting processes. Again, for mild Fat Grafting procedures the recovery period is anywhere between 1 to 3 days, but in the case of substantial Fat Grafting procedures the recovery period could be anywhere between 7 to 14 days. It is highly recommended to undergo the Fat Transfer or autologous Fat Grafts with other cosmetic procedures like a Facelift or Necklift procedure. 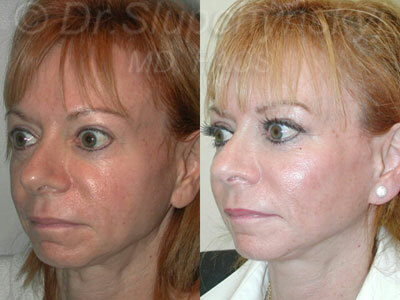 This will ensure a smooth transition in the transformation of the whole facial features. PureGraft™ uses a revolutionary lipodialysis technology that produces a pure and concentrated fat graft in as little as fifteen minutes. The bilaminar flow filtration technology ensures a graft that is consistent. Once the surgeon injects tissue into the PureGraft™ System, it removes free lipids, fluids, and loose blood cells by selectively filtering through the first membrane. The flow of waste and debris in the second membrane drains the contaminants into the Waste Bag. The most common or expected aftereffect of Fat Grafting using this technique is swelling. Immediately after the procedure, plastic adhesive tape is placed over the infiltrated areas for 3 or 4 days, which helps to reduce any bruising and swelling. In the first seventy two hours after the procedure, it is recommended to apply cold compresses to the operated areas at frequent intervals to arrest any inner bleeding or swelling. A very light massage may also be helpful in reducing swelling as it can encourage lymphatic drainage. Other maneuvers such as holistic medications, low-level laser and electromagnetic therapy may also accelerate the resolution of swelling. Even with all of these maneuvers to reduce edema, postoperative swelling is still a major factor. Light aerobic activity (elliptical, walking and bicycling) are exercises which are considered highly beneficial for blood circulation after the initial 4 to 5 days of the Fat Grafting procedure. More aggressive activity can commence in the following weeks. The possibility of any probable Fat Grafting or Fat Transfer problems may vary from individual to individual because of the way that the body copes with the fat absorption within the operated areas. For example, there might be faster fat absorption which may require additional Fat Grafting procedures to add more tissue in some patients. There maybe the possibility of appearance of small lumps under the skin which could be due to a blood vessel rupture under the skin, but it is never severe in any case. Fat Grafting is technique dependent, and not all techniques, surgeons, and patients will experience the same longevity or effect of grafted fat. One of the current problems with analysis of the results of Fat Grafting, is that there has been never been a standardization of the methods of Fat Grafting used. Radically, different techniques are often used in both research and in clinical practices, which makes extrapolation of the result of studies or anecdotal experiences to other situations difficult. In addition, remarkable ranges of the results have been noted from one patient to another and between different anatomical sites – even when using exactly the same technique and volumes. 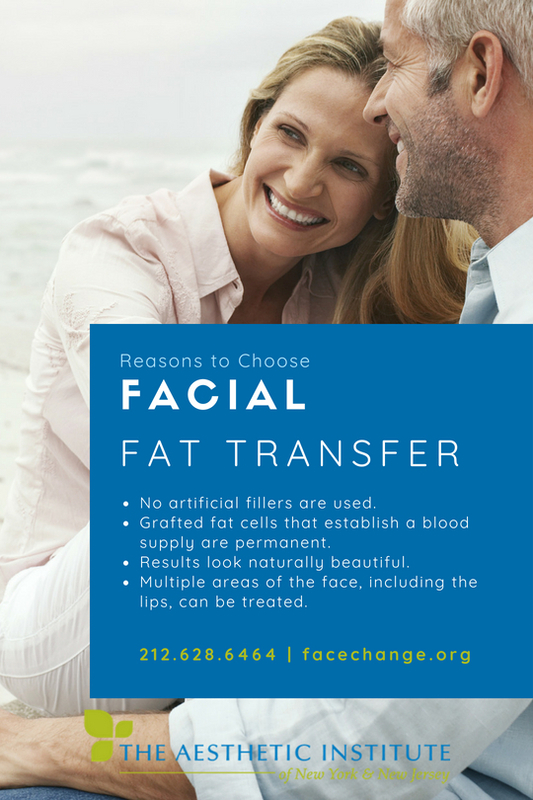 Contact us today to find out how safe a Fat Transfer or Fat Grafting is!